Just in case you’ve been slothing on Ultrasloth, you should know about the epic interactions between a trio of some of the undergrounds most esteemed producers. bioLumigen, Duffrey, and kLL sMTH, have been creating the finest of sounds individually for a while, but the combination of their talents together is truly noteworthy. If you missed their set at Coalesce last month, worry not! These arboreal creatures will descend from the trees again this June to perform at The Untz Festival in Mariposa, California and in the meantime, they are shaking down some serious leaves in the form of their latest release. The Hypershred minimix debuted yesterday and it’s got the bass-forests in a frenzy! Just a little under seventeen minutes in length, the mix features nine tracks blended to complete perfection. 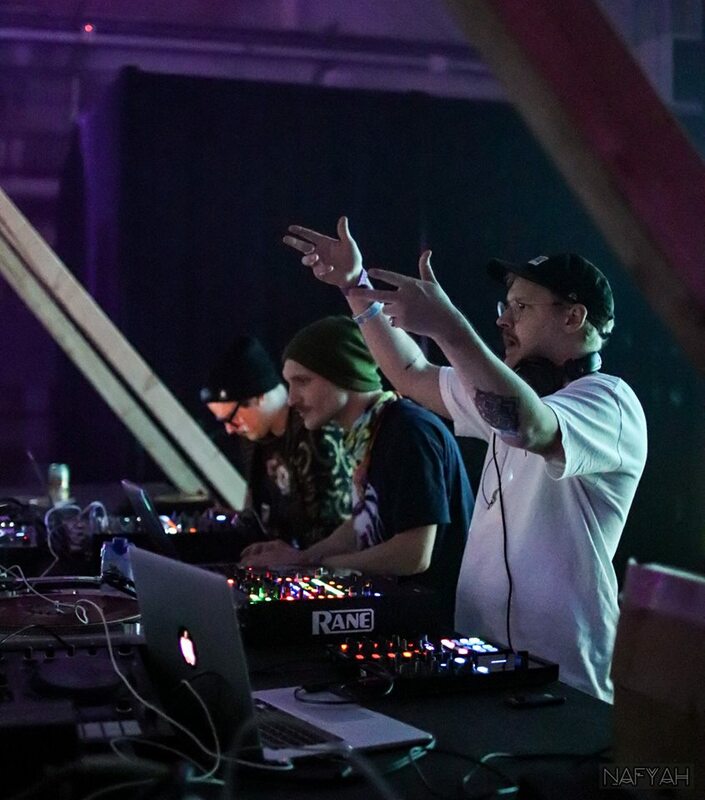 As though the trifecta’s four unreleased tunes weren’t yummy enough, they added in some extra flavor with two collaborative songs featuring Whitebear and a track with my favorite duo, 2NUTZ – made up of Atomic Reactor and kLL sMTH. There is so much depth to this compilation – it is funky, glitchy, and sensual in all aspects. Ultrasloth managed to implement such a broad array of genres with some of the smoothest, most impressive, transitions I’ve ever heard. From start to finish, the Hypershred minimix is comprised of pure, liquid, ear-gold. Be sure to follow Ultrasloth to keep up with future sightings and fascinating noises to come!